Now is an exciting time for the paralegal profession, both in the state of Oregon and across the country. Nationally, paralegal jobs are on the rise as law firms seek to save money by hiring more legal assistants to perform the tasks traditionally carried out by lawyers. In fact, current estimates expect paralegal jobs to increase in the US by about 28% by 2018. In Oregon, the paralegal profession is thriving and growing as the state’s population continues to expand. According to the Bureau of Labor Statistics, about 2,170 working paralegals are located in Oregon, with the majority working out of Portland, Bend and other cities in the state. The current annual average salary for legal assistants in the state of Oregon is currently modest at about $52,270, with an average hourly wage of $25.13. Most of the state’s paralegals are hired by private law firms, although hospitals, large corporate offices and government branches employ legal assistants as well. 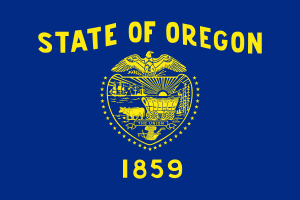 Paralegals in Oregon are not required to have a license, although it is strongly encouraged. While paralegals may prepare legal documents and assist a lawyer at trial, they are prohibited from giving legal advice. Licensed attorneys in Oregon must supervise any legal assistant working under them and are legally responsible for all professional conduct. Like in all US states, paralegals and all non-licensed lawyers in Oregon are prohibited from practicing law. There are a few ways for aspiring legal assistants to start a paralegal career in Oregon. They can earn a formal education at a school program, or earn the paralegal title informally through training at their place of employment. Paralegals that carry a certificate or degree from a school program, however, are usually given preference when applying for employment opportunities. For working paralegals without an official certificate or degree, some employers may be willing to provide support to pursue an education. In Oregon, aspiring paralegals earn their certification when they pass an approved national certification exam. There are several paralegal exams available, and are provided by a few different organizations including the National Association of Paralegals (NALA), the National Federation of Paralegal Associations (NFPA), and the National Association for Legal Professionals (NALS). 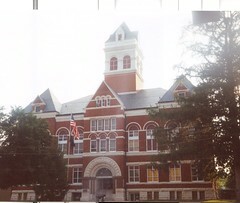 When searching for the right school program, aspiring paralegals should consider studying at a program that has earned approval from the American Bar Association (ABA), which not only provides oversight of practicing attorneys, but also endorses law programs and colleges that have met its strict requirements. An official endorsement from this influential organization helps prove a program’s, and by extension its students’, credibility and high academic standard. Because of this, many law firms and other employers only hire applicants who have earned their degree or certificate at an ABA-endorsed program. Another school credential to consider is its accreditation status, which is different from an ABA endorsement. School accreditation is provided by the US Department of Education and ensures that a learning institution is both legitimate and ethical. In addition to an ABA-endorsed school, many employers also require applicants to graduate from an accredited school. Some paralegal employers may have few, if any, education requirements for legal assistants, but for the most employment opportunities, it’s ideal to attend a school that is both accredited by the Department of Education and endorsed by the ABA, if possible. Pioneer Pacific College offers its students an Associate of Applied Science (AAS) and a Bachelor’s Degree through its Legal Studies program. The Bachelor’s program focuses on substantive law and management and takes 130 weeks to complete, while the AAS degree takes 70 weeks to complete. Internships are mandatory. Portland Community College is a 2-year public college that offers a 90-credit Associate of Applied Science (AAS) degree and a 45-credit Certificate through its Paralegal Studies program.